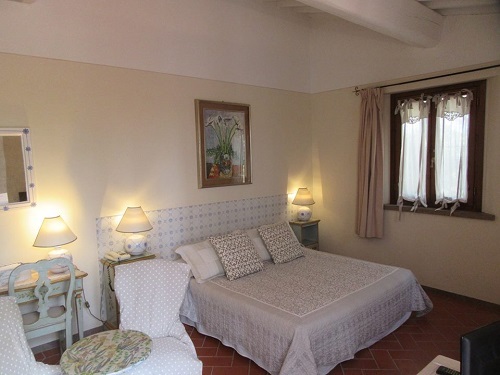 Upon arrival at the Florence Peretola Airport, you will be met by your driver and taken by private van to the beautiful country inn – the Le Boscarecce, where Susanna, the owner, will warmly welcome you. Le Boscarecce is a 200-year-old farmhouse with a barn which has been completely restored in 1996. 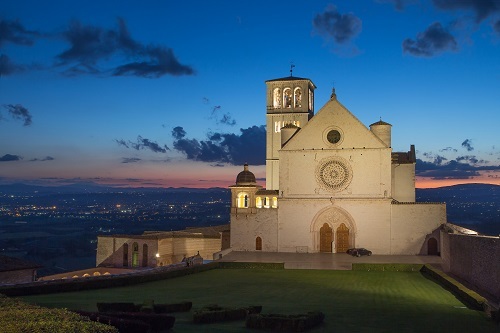 It is situated on a splendid panoramic hill; the sun setting over the Apennines is something to put in your memory book. 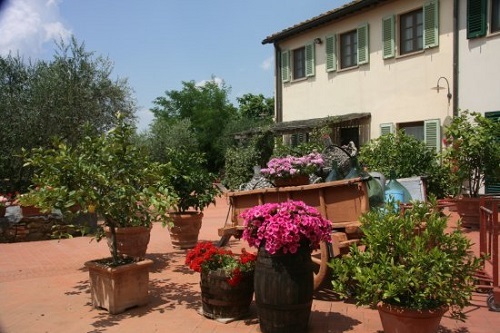 The farm has been restructured respecting the typical Tuscan style, transformed into a charming Country Inn on the Valdelsa Hills near Castelfiorentino where you will find the Museum BEGO with the frescoes of Benozzo Gozzoli. The hotel consists in 14 rooms, each named after famous literary or historical female figures furnished with antic furniture and ceramics full of colour. The afternoon is at your own leisure. 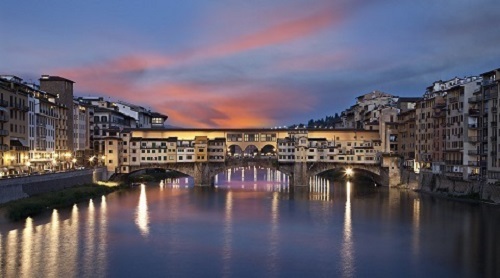 Experience: Half day private tour of Florence. You’ll visit Florence Accademia to see Michelangelo’s ‘David’, the Uffizi Gallery for works by da Vinci, Raphael & Boticelli, explore Florence Duomo with its stunning dome, and enjoy a guided walking tour of the city. Depending on when you are beginning your tour in Florence, the rest of the day will be at your own leisure. 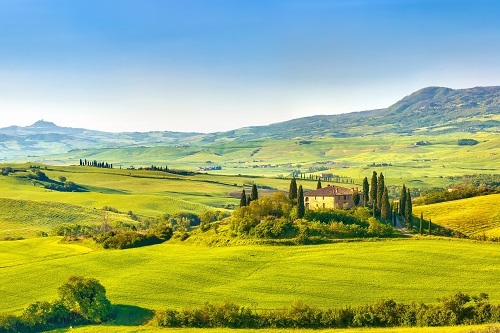 Today enjoy a wonderful private excursion to visit some of the loveliest Tuscan towns. 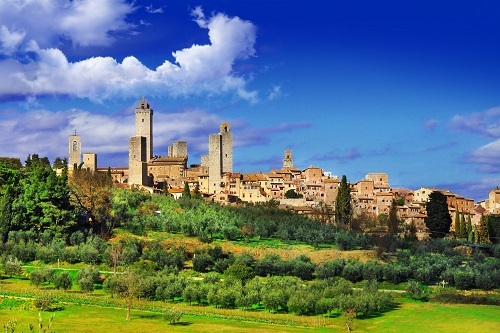 Your first stop today after a scenic one-hour drive through the countryside is San Gimignano. A small medieval town in Tuscany, San Gimignano has a splendid skyline made up of 13 towers. This 11th century town rises 334 meters above the Elsa Valley along the ancient “Via Francigena” on which traders and pilgrims going to Rome traveled. San Gimignano prospered considerably during this period thanks to this route and all the inns that were built along its way to accommodate these travelers. With prosperity, many patrons in San Gimignano were able to hire the best craftsmen and artists to magnificently decorate the churches and monasteries here. Dante Alighieri came to San Gimignano on May 8, 1300 as the Ambassador of the Guelph League in Tuscany. Today, San Gimignano’s important cultural and natural heritage have been recognized by UNESCO. As in all of Italy, the Black Plague of 1348 greatly reduced the population of San Gimignano and led the city into a grave economic depression and caused the town to submit to Florence’s rule in 1353. Later in the centuries though, San Gimignano rediscovered its cultural importance and beauty together with its agriculture and eventually overcame its decline becoming the beautifully restored town it is today. Despite its rather small size there is plenty to admire in San Gimignano. Besides its 13 remaining towers (there were once about 40! ), you can also see the “Duomo” or Collegiate Church and its magnificent frescoes, the “Palazzo del Popolo”, the “Palazzo Nuovo del Podestà” which is now the town hall. Other interesting places to see are church dedicated to Saint Augustine with its famous fresco cycle of this Saint’s life painted by Benozzo Gozzoli, the Museum of Holy Relics, and the infamous Museum of Torture and its macabre displays of early torture instruments. You will love just wandering up and down the main street in San Gimignano and going in and out of the numerous specialty shops. The ceramics are beautiful here but there are also places for buying leather goods and linens. For food and wine lovers there are many shops that sell delicious local products including San Gimignano’s “Vernaccia” white wine. You will be able to taste this wine in several of the wine stores in the town. Next stop on the way from San Gimignano to Siena is Monteriggioni. This is one of the best known and classic walled towns in Tuscany. Also on the Via Francigena, this village was built on a hill by the Senese between 1213 and 1219 to overlook the ancient Roman road, the Via Cassia. This was a perfect position allowing for surveillance of the valleys below in the direction of the city of Florence, which was the historic enemy of Siena. We’ll be making a lunch stop here at a typical trattoria where we’ll enjoy some mouth-watering Tuscan food before we go on our way Siena. No trip to Tuscany is complete without a day trip to Siena, the birthplace of the beloved Italian Saint Catherine. This beautiful city made of brown Siena-colored bricks (so that’s how they named the color), its jumble of narrow streets and delightful squares, the medieval towers that make such a spectacular skyline, its spectacular cathedral, the tall and trim Torre del Mangia, all together create an enticing atmosphere almost like stepping back in time. 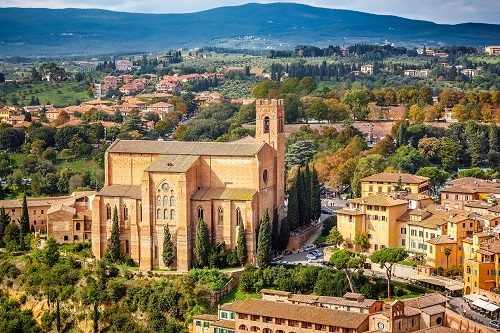 Siena is built on three hills and is home to one of the most authentic and important Gothic cathedrals south of the Alps. Despite the city’s architectural masterpieces, it is the unusual shell-shaped Piazza del Campo that receives the most consideration having been seen in numerous films and photographs. This brick covered square is used twice a year for the famous “Palio” horserace, an event that involves the entire population and is considered one of the most important events in the life of the Senese people. In the evening your driver will take you back to the Le Boscarecce. *Any entrance fees for sites you would like to visit are not yet included. This morning will be at your own leisure. Experience: Afternoon private cooking class with Susanna, the owner of the Le Boscarecce. This will be a very fun and authentic experience. 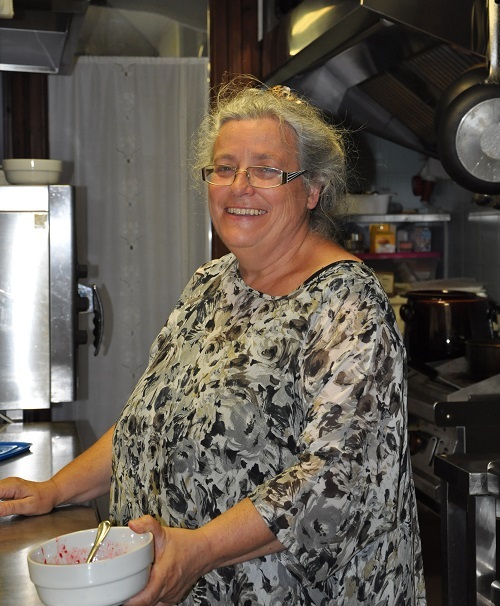 Susanna does all the cooking for her guests and will make sure to share some of the yummy local cooking tips. Experience: Wine tasting at the Emanuela Tamburini Farm which includes a tasting of the Brunello wine with a light lunch. You will be able to taste 6 or 7 different wines and spend time with the family members which are wonderful people, this will be a very warm-hearted experience. The rest of the day will be at your own leisure. 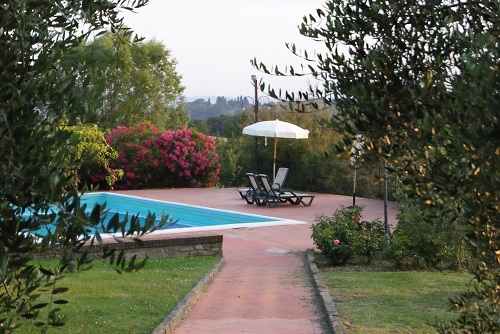 As today is the last day in beautiful Tuscany, this day will be at your own leisure. It can be spend relaxing at the Le Boscarecce or an additional experience can be arranged. Some might like to go back to Florence for the day to do some last-minute shopping or just enjoy strolling through town. A transfer to/from Florence by private van is included for this day. Early this morning your group will be taken by your private driver to the Florence Peretola Airport for your flights back home. *Please note that 2 private transfers are included in the trip cost. Additional transportation can be arranged but will have to be paid directly to the driver. May all your travels stir your soul and change your life forever – Aleš .